ABC recently announced that Roseanne Barr’s sitcom would be getting a spinoff – The Conners – several months after the series was cancelled. 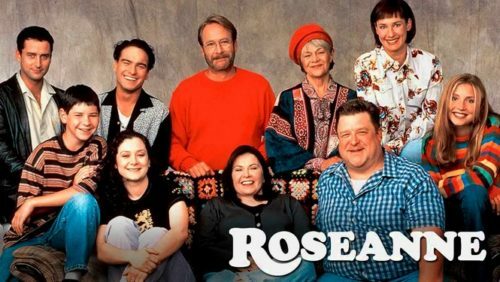 The show, which is set to debut this October, will be about Roseanne’s family, but Barr’s character, Roseanne Conner, won’t be a part of the story. The Hollywood Reporter asked ABC Entertainment President Channing Dungey how the series will deal with Roseanne’s absence. After all, it was Barr’s comedy that made Roseanne a hit in the first place. “That’s the thing I can’t talk about because the showrunners for Conners have now taken a page out of the Marvel and Shondaland playbook and they’re keeping everything very close to the vest,” Dungey said. She also said that all the actors would be returning to their roles. When she was asked about how the show would work without “the poster child for middle America” that is Barr, Dungey hinted that John Goodman’s character Dan Conner might take on that role. “John Goodman is a legend in our time as an actor, and what Dan Conner represents is exactly the same,” she said. This past May, Roseanne Barr went on a Twitter tirade, posting conspiracy theories about Chelsea Clinton, George Soros, and CIA mind control. She also called Valerie Jarrett, an African American senior advisor to Barack Obama, an ape. ABC canceled her show almost immediately. Dungey said that she doesn’t regret the decision to pull the plug. “I think the swift, decisive action really spoke volumes and I think we’re proud of what we did,” she said.